As always, thank you from the bottom of my heart for your continued prayers and support. The intervening months since my last report have taught me many things, the chief of which is that the Lord’s work in my ministry necessarily follows the Lord’s work in my heart. And He’s sure been working! God has me right where God wants me, and I believe that from the depths of my being. Hearing and deaf souls are being saved, and I am growing as a pastor and as a leader. 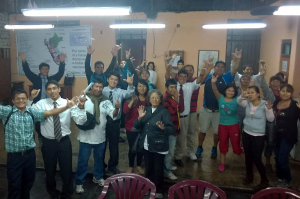 We launched a new deaf ministry in El Agustino, around 45 minutes from Efata. It´s been a great challenge. Some of those attending have zero biblical knowledge, and others went to church years ago at another location and are just now opening up to the gospel. So far, three Deaf souls have been saved in that ministry. Please pray for the new Christians to grow spiritually and for more souls to be saved. We are preparing a Peruvian Sign Language dictionary. Christians, and the Baptists in particular, have always held the study of language in high esteem. 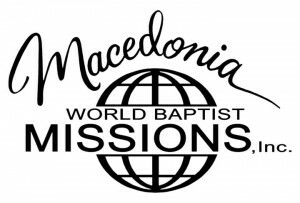 Missionaries throughout history have dedicated long hours to the development of dictionaries and Bible translations. A comprehensive dictionary of Peruvian Sign Language will help the deaf understand what they read, and help those who are trying to reach deaf children and adults communicate more effectively. We are looking forward to a blessing! Baby Joseph James Kotvas is due to be born in December. Zulema and I are ecstatic! My house is slowly being overtaken by baby clothes and accessories, and we are preparing for parenthood. For the first few months, pregnancy hit Zulema hard. She was practically bedridden for weeks on end! Thankfully the worst of that is behind us now, and we are looking forward to having him in arms. Please continue to pray for our family and our ministry. God hears your prayers!